I receive a ton of emails asking me to create a natural deodorant recipe, and I spent some time this summer tinkering around with a few ideas for one. 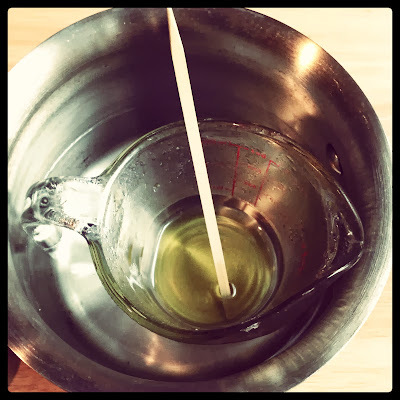 I knew I needed to develope a recipe that would neutralize stinky underarm odor, absorb as much wetness as possible and impart a natural and pleasant aroma using essential oils. 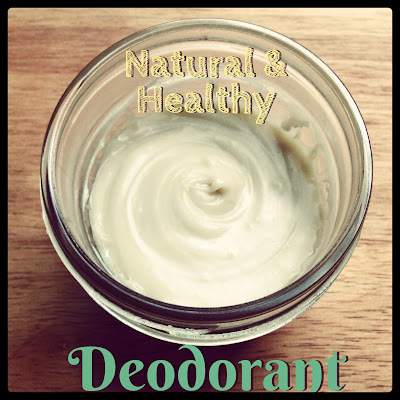 First I searched the internet for companies that were already selling some proven natural deodorant products and discovered that basically they all contained baking soda (neutralizes stinky underarm odor), arrowroot powder (absorbs wetness) and some essential oil (imparts a nice smell to your pits). I made several batches and some turned out good and others turned out clumpy and gritty. I finally came up with a recipe that contains Shea Butter, Mango Butter, Baking Soda, Arrowroot Powder, Kaolin Clay, Vitamin E, Geranium Essential Oil and Cedarwood Essential Oil. I really like this formula. It goes on smooth, absorbs quickly, absorbs wetness and smells AWESOME!! It is still slightly gritty from the baking soda, but that goes away after your pits dissolve it. I have been wearing it for about 3 weeks now and while I still sweat, I feel drier and don't stink!! When I work out at the gym, I simply reapply the deodorant and I am good to go for the rest of the day. 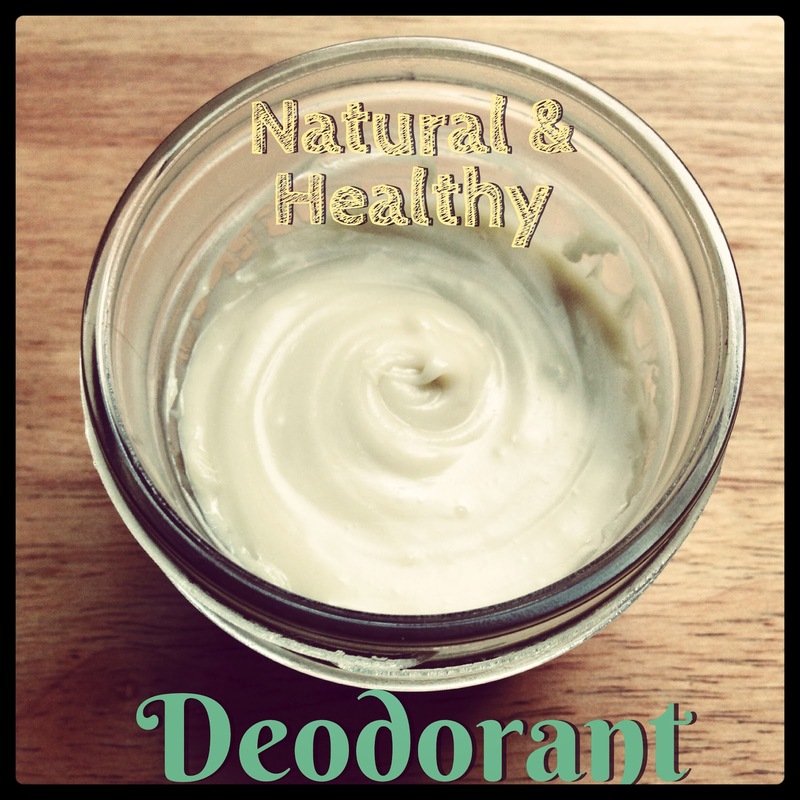 So, here you are my wonderful readers...Fresh-Picked Beauty's Geranium & Cedarwood Natural Deodorant. 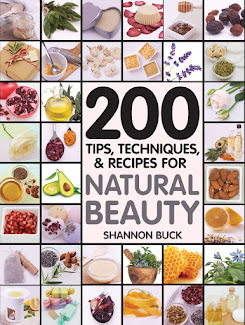 You will need 20 grams of Shea Butter, 15 grams of Mango Butter, 20 grams of Baking Soda, 20 grams of Arrowroot Powder, 2 grams of Kaolin Clay, 1.25 ml of Vitamin E Oil, 10 drops of Geranium Essential oil and 8 drops of Cedarwood Virginia Essential Oil. You have heard me say it before, but I REALLY like buying my ingredients from Mountain Rose Herbs. They really do have the BEST stuff at AWESOME prices!! I chose Geranium and Cedarwood to fragrance my recipe, but you can mix and match your favorite. 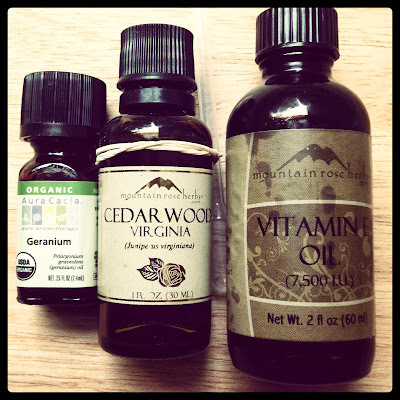 Keep the essential oil to about 18 drops total. 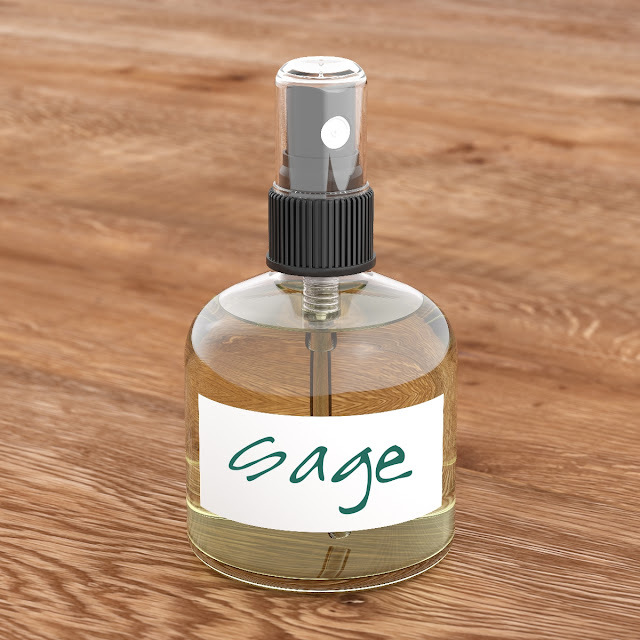 You might try Rose+Sandalwood, or Rosemary+Spearmint, or Vetiver+Lavender. 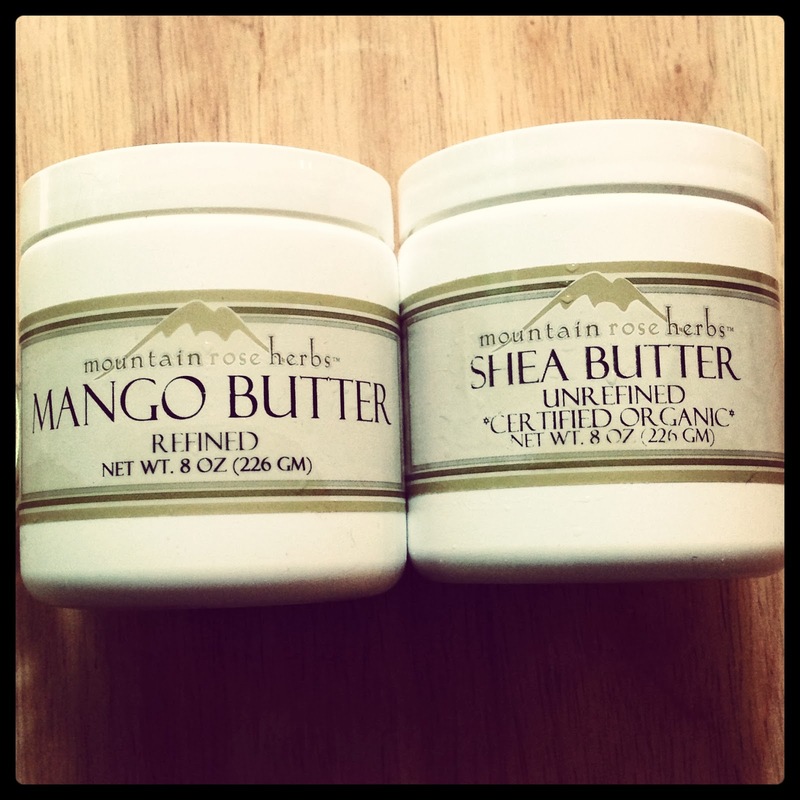 Add your Shea Butter and Mango Butter into a small glass measuring cup and melt it in a simmering water bath. Remove from the heat. 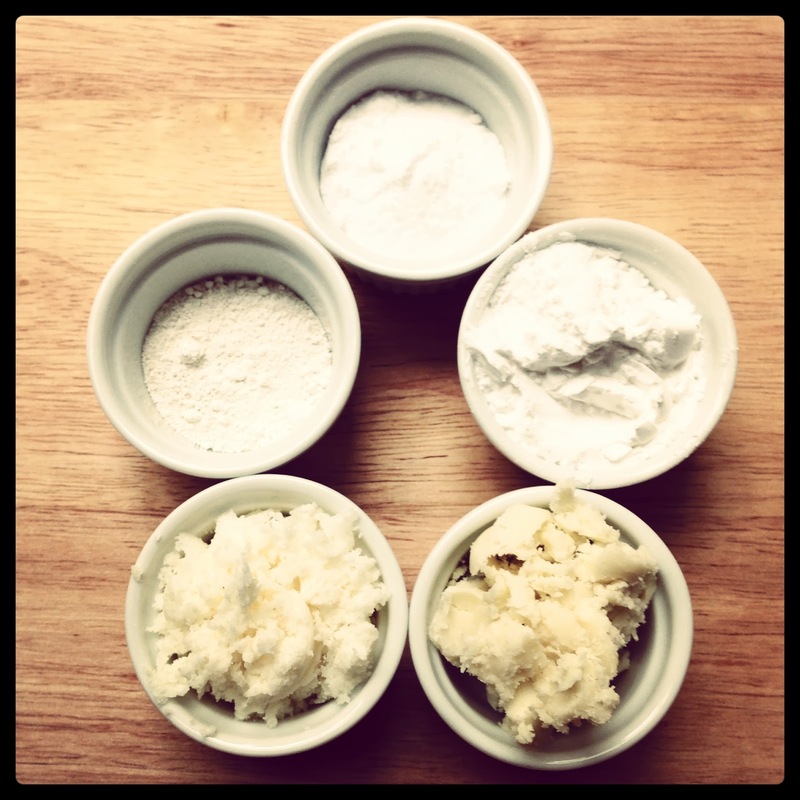 Mix in the Baking Soda, Arrowroot Powder and Kaolin Clay. Mix well. Mix in the Vitamin E Oil and the Essential Oils. Mix well. 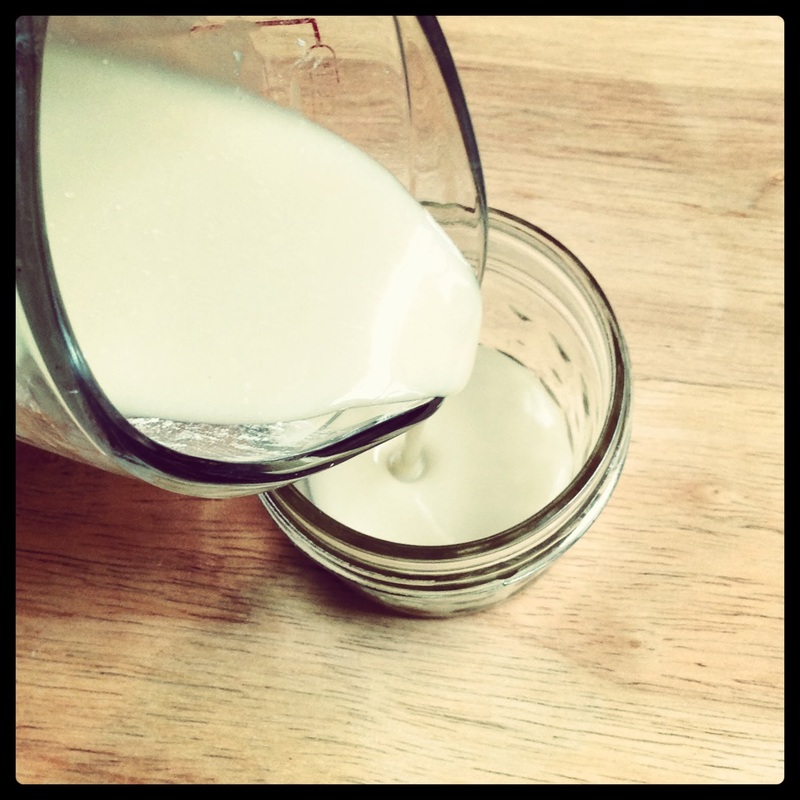 Pour into your clean storage container (a 4 ounce canning jar works great). Chill in the fridge until hardened. 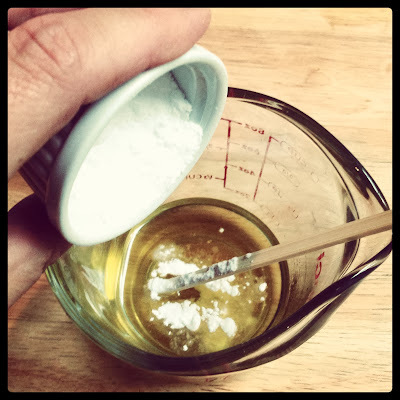 While mine was setting up, I stirred it every 10 minutes so that the baking soda did not settle on the bottom. 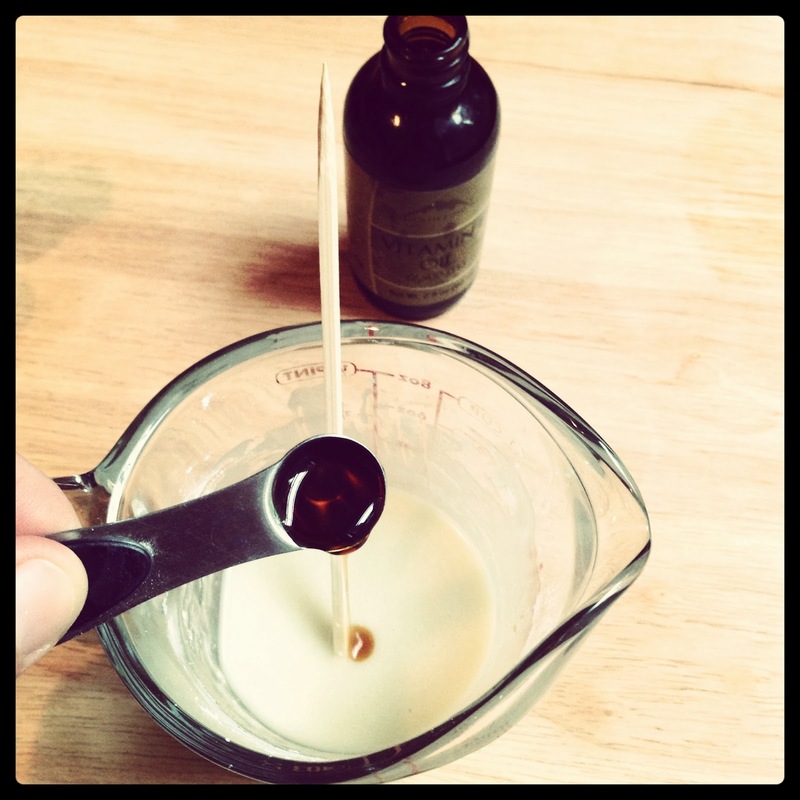 To use: spread about 1/8 teaspoon on each armpit. Reapply if needed during the day.